Home» » What Are Jigs And Fixtures And Difference Between Them With Application ? What Are Jigs And Fixtures And Difference Between Them With Application ? Jigs and fixtures are very important devices used in manufacturing industry. These devices or equipment are used to locate, guide and hold the work piece in the machining process. The main benefit of jigs and fixtures is repeatability. It eliminates the problem of adjusting the work piece again and again in the machine. So production rate can be increased by reducing the setting time of work pieces. The operations which are required the working tool to be guided or to held in a position to get the repeatability and higher production rate are required the properly designed jigs and fixtures. Jig are used to guide the work piece while fixtures are used to hold the specimen at a specific place. Jigs and fixtures are comes in the category of tools. Nowadays, jigs and fixtures are very important in the manufacturing industry. Because these tools has the ability to provide high precision, interchangeability and accuracy in the operation. These tools can be designed to use in any kind of production process e.g. machining, welding, assembly, quality inspection etc. 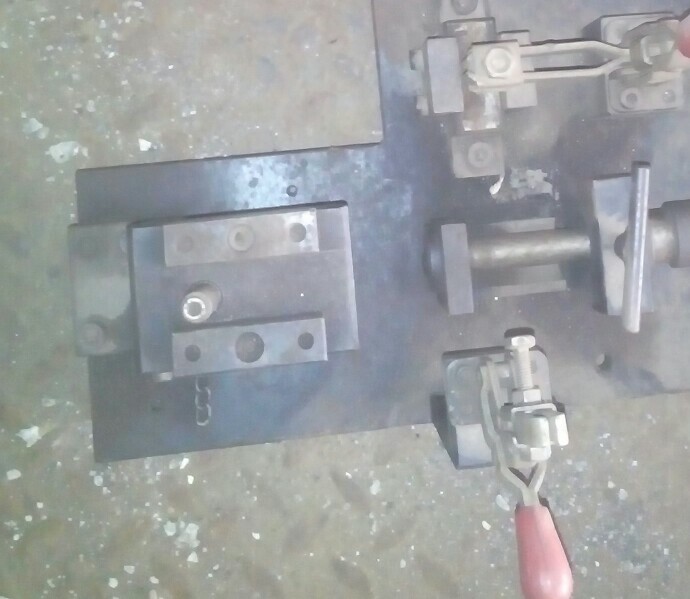 1) Jigs and fixtures reduces the time required in the operations by the machine and hence the production rate can be improved. 2) Interchangeability is possible with jigs and fixtures. 3) Higher precision and higher repeatability can be gained. 4) Production cost can be controlled by using jigs and fixtures. 5) Installing Automation becomes easy after using jigs and fixtures in a machine. 6) Complex shaped parts can be manufactured with higher accurately be positioning it in a rigid fixture tool. 7) The machine using jigs and fixtures do not need highly skilled labour. 8) The operation becomes safer by decreasing operator’s involvement in the machine. What is the difference between a jig and a fixture? The main difference is that jigs are able to guide the work piece but fixture are just able to locate or hold the specimen. In most cases the jigs has less volume while fixtures are heavy in construction. Jigs are used for drilling, tapping, boring i.e. one directional operations and fixtures can be used for multi directional operations e.g. shaping, milling, cutting, welding, turning etc. Jigs are unidirectional tool which is used to locate, hold and guide the work piece. Jigs should not be confused with fixtures. Fixture cannot guide the tool but jigs can locate as well as guide the tool. Jigs can provide speed in operation, accuracy, repeatability and interchangeability. Jigs are most commonly used in the operations like drilling, boring, reaming, tapping etc. In the CNC machines, the use of jigs is not necessary because the machine is controlled digitally by programming using computers. There are many types of jigs depending upon the purposes. Drilling jig is most used type of jig. Drill jig repeatedly locate the center on multiple parts by guiding the drill or reaming tool. What Are Fixtures (Tool) ? Fixture is used to hold the work. It do not have the ability to guide the work piece. Although, the fixtures have large area of applications than jigs. Fixtures are multi-directional tool. They are mainly used for turning, milling, shaping etc. 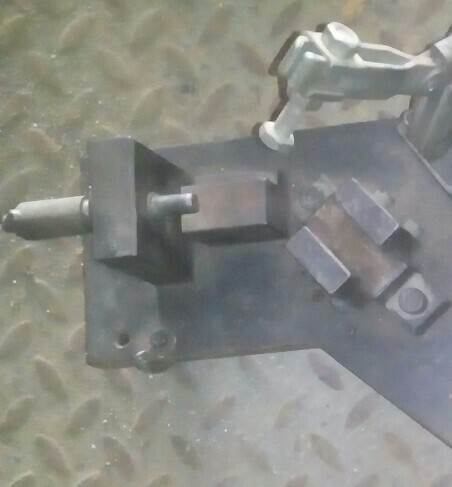 These tools are used to hold and support the work piece so that the machining operation can be performed easily with high precision and accuracy. Fixtures enables the interchangeability and quality assurance in the parts. It reduces the need of skilled labour and produced the product of good quality. In the design of fixtures, the part to fix and required part after machining should be kept in mind. Various blocks and plugs are inserted as edge finder and hole or center finder. These blog will make the work piece to be fixed in a unique position. This unique position will provide great repeatability and accuracy. Most commonly used fixtures are sawing fixtures, welding fixtures, turning fixture, bending fixture etc. Although, the fixture can be used in any type of operation to get repeatability and high rate of production. The nomenclature of fixture are to be done on the basis of its application and the machine tool in which the respective fixture is to be used.